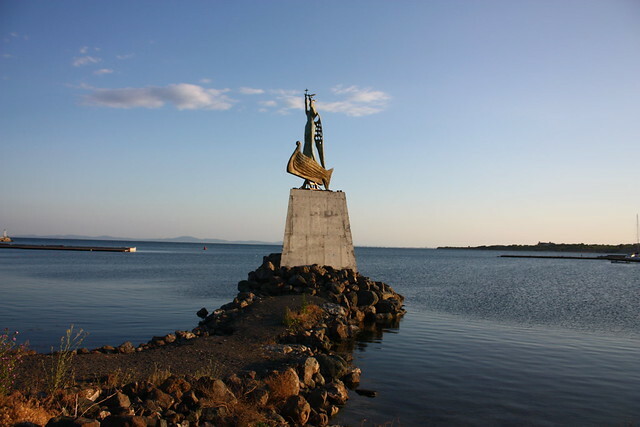 Europe’s oldest state is a country of pleasant surprises. Once hidden behind the Iron Curtain, Bulgaria is now a thriving member of the European Union with high hopes for the twenty-first century. Parts of the country are filled with foreign visitors, but outsiders almost never visit other regions. Perhaps you’ll discover bed and breakfasts in small villages where old men still drive horse-drawn carts to perform their daily tasks. 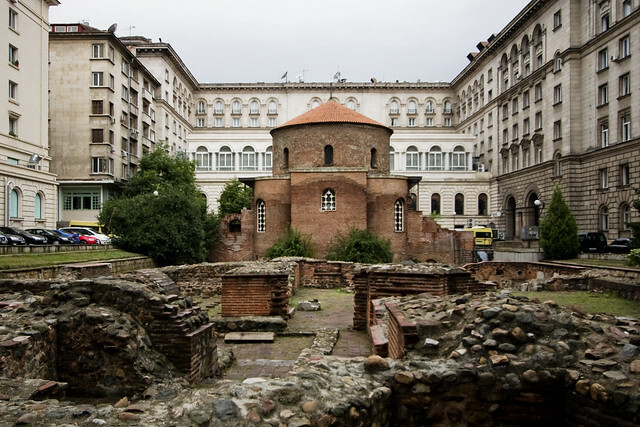 Or head into Bulgaria’s cities to tour stellar museums. 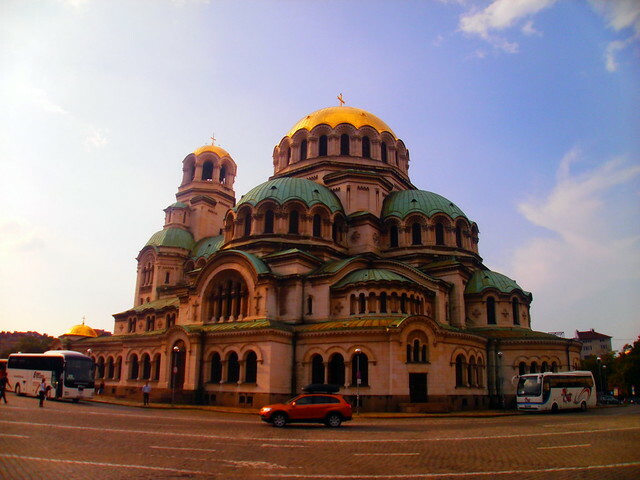 You’ll need a working knowledge of basic Bulgarian as locals are unlikely to speak English outside of touristy areas. But don’t worry, the Bulgarians are a generally friendly people who are willing to help the traveler respectfully exploring their homeland. Bulgaria is one of the most vegetarian friendly countries in Eastern Europe. Salads are king and a staple at every meal. Shopska salad is a mix of tomatoes, onion, cucumber, peppers, grated cheese, and fresh herbs; it is a Bulgarian favorite. Other vegetarian dishes are hot bean soup flavored with mint and cucumber yogurt soup served cold. Red peppers, eggplant, and tomatoes are mixed up and eaten on bread for a delicious veggie treat. Carnivores go for traditional dishes like drob sarma and moussaka. Drob sarma is a great dish for lovers of offal: lamb lung and liver over rice. You may also find minced meat inside some breakfast pastries. Bulgarians adore savory and sweet pastries any time of day from breakfast to dessert. Banitsa is the one of the most popular traditional pastries made by layering a mixture of eggs and cheese with phylo dough and baking it until gorgeous, golden brown. Beaches on the Black Sea stun tourists with long stretches of white sand with mountains rising up just beyond them. 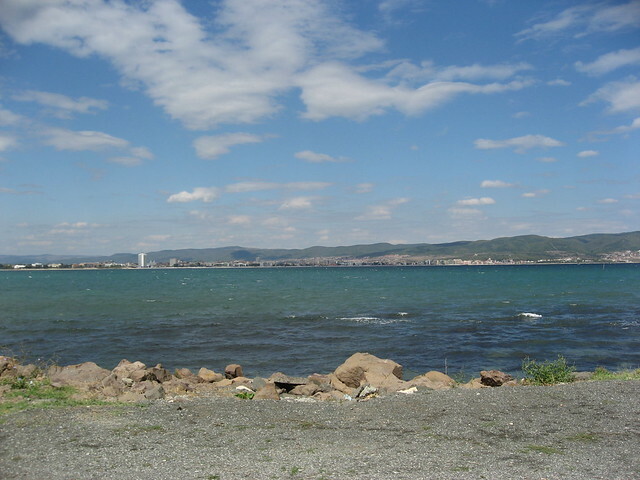 The Black Sea coast is one of the most popular tourist destinations in Bulgaria. The beaches are lined with resorts, restaurants, and bars filled with tourists. Venture just a few miles away from the tourist zones, though, and you’ll find beaches almost completely empty save for you and the seabirds. If the beach isn’t your speed, you could spend your entire vacation hiking in the mountains and watching the native wildlife. Animals that are rarely seen elsewhere in Europe like lynx thrive in Bulgaria. Birders enjoy spotting rare birds high in the mountains and along the shores of Bulgaria’s many lakes. In the summer, consider camping in the forests for an inexpensive and fun vacation. If you prefer a bit of luxury, book a village bed and breakfast where the beds are soft and the food delicious and plentiful.